All ORCHID HAMMOCK - IBIS homes currently listed for sale in West Palm Beach as of 04/21/2019 are shown below. You can change the search criteria at any time by pressing the 'Change Search' button below. 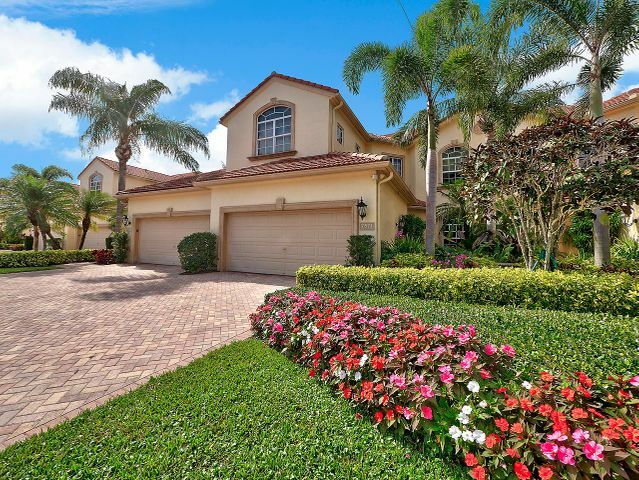 "GORGEOUS 3BR/2BA/2CG WITH EXPANSIVE GOLF COURSE VIEWS. BEAUTIFULLY LANDSCAPED ENTRY. IN ADDITION TO THE 3 BEDROOMS THIS HOME FEATURES A FORMAL DINING ROOM AND AN OVERSIZED FAMILY ROOM WITH A CUSTOMIZED BUILT-IN. LARGE EAT-IN KITCHEN WITH GRANITE COUNTERS. PLANTATION SHUTTERS IN FAMILY ROOM AND KITCHEN. UPGRADED LARGE TILE ON DIAGONAL THROUGHOUT LIVING AREAS, CROWN MOLDING AND MUCH MORE. COVERED SCREENED BACK PATIO OVERLOOKING THE GOLF COURSE. DON'T MISS OUT ON FLORIDA LIVING AT ITS FINEST!"